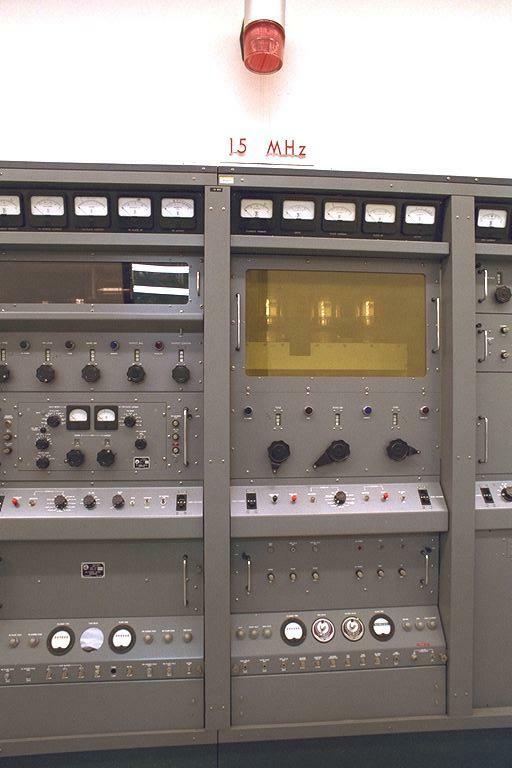 Every radio enthusiast in the Western hemisphere is familiar with radio station WWV, which will have been been steadily broadcasting time signals for 100 years in October of 2019, if it makes it that long. If it makes it that long? Yes, the world’s oldest continuously operated radio station may cease operations, if the proposed budget for FY 2019 is enacted as currently on the table. NIST will discontinue the dissemination of the U.S. time and frequency via the NIST radio stations in Hawaii and Ft. Collins, CO. These radio stations transmit signals that are used to synchronize consumer electronic products like wall clocks, clock radios, and wristwatches, and may be used in other applications like appliances, cameras, and irrigation controllers. The shortwave stations WWV and WWVH are probably most familiar to radio enthusiasts, because their shortwave signals are easily audible as tones in a radio’s speaker. But there’s a low frequency station, WWVB, at 60kHz, which sends digital time signals out across the US. Its signals are commonly received by radio controlled “atomic clocks” and wristwatches, making it possible to have inexpensive self-setting clocks that maintain accurate time with no human intervention, using very little battery power. They even self-adjust for daylight saving time. It’s true that many of the old time and frequency uses of WWV are now handled pretty well, and often much better, by the GPS system. GPS offers much more accurate time and frequency standards over a much broader area than the old shortwave and LF stations. But WWV and WWVB still perform some useful functions that GPS doesn’t handle. Those self-setting clocks aren’t really laboratory grade time references, but they are very popular in many homes, because they offer inexpensive access to time which is accurate enough for household purposes. Their self-setting function will stop working without WWVB. GPS cannot be received with such low power battery operated receivers, particularly not if the receiver is in a clock that’s indoors on the first floor of a two-story house. And there is no practical way to retrofit a GPS receiver into a consumer-priced self-setting clock, regardless. If this proposal goes through, I’ll miss the tones of WWV for nostalgic reasons. But I’ll miss the self-setting, maintenance-free clocks in my house for practical reasons. The budget savings expected? About six million dollars annually. That’s about two cents a year per person in the US. Or around half a percent of the GPS system’s annual taxpayer budget. But maybe there’s hope. The WWVB modulation scheme is simple and well-documented. It only requires a 60 kHz oscillator with two amplitude levels, one about 17 dB lower than the other. The signal strength is lowered at the start of each second, and restored to the higher level either 0.2s or 0.5s later, depending on whether a binary “0” or “1” is being sent. The details of the digital protocol are documented in NIST Special Publication 432. If someone had something like a Raspberry Pi that was synced to the proper time via NTP or GPS, it wouldn’t be that hard to write software to flip one of the Pi’s GPIO pins in the pattern corresponding to the WWVB signals as documented. And if one used that GPIO pin to control the amplitude of a low power 60kHz oscillator, nearby radio-controlled clocks just might start working again, even if WWVB were off the air. ← Previous Previous post: Heart Attack! Next → Next post: What Time is it? W7NSS has created an on-line petition to maintain funding for WWV and WWVH.